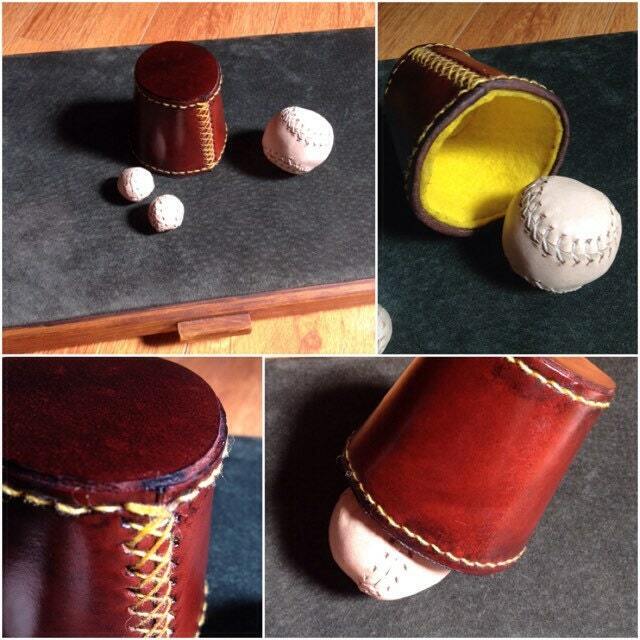 Custom leather mini chop cup with standard ball, chopped ball and final load. 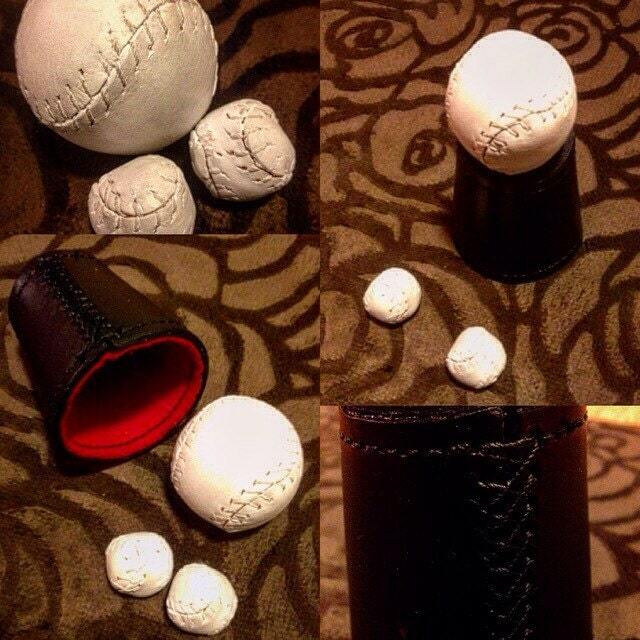 Felt lined with your choice of color felt and stitching, your choice of leather for the outside of the cup, and your choice of color for the balls. 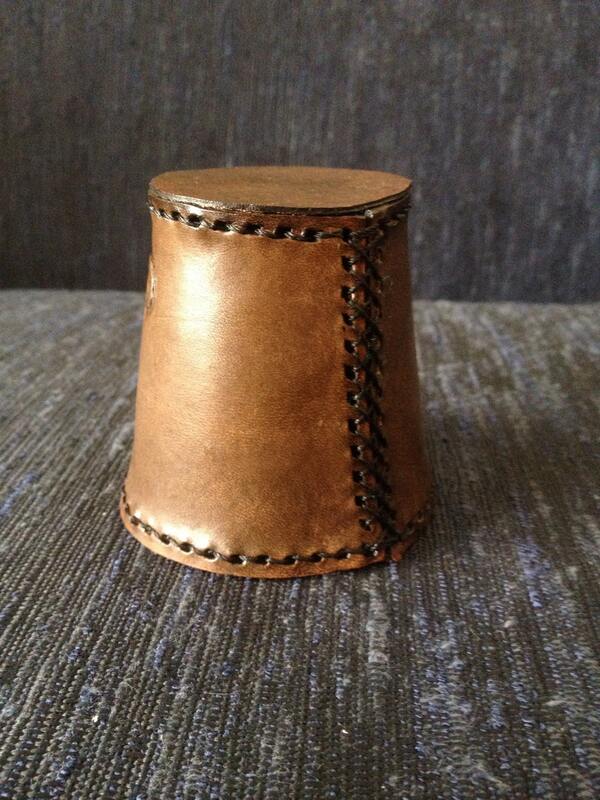 Cup measures 2.75 inches tall x 2.75 inches diameter. 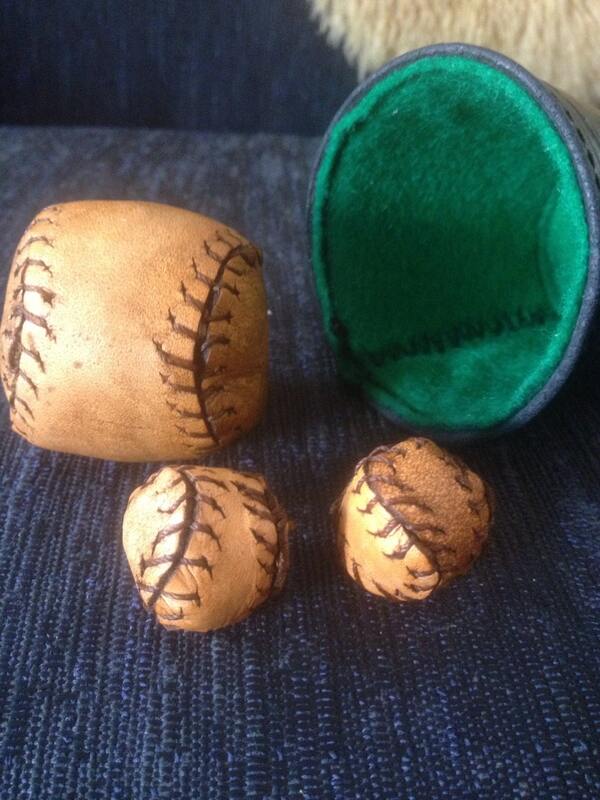 Balls measure your choice of .75 inch or 1 inch and 2 inches for final load. Please specify colors and sizes in notes.